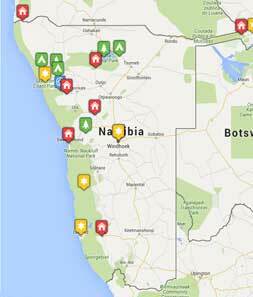 Why Visit Etosha National Park? There’s nowhere else quite like Etosha, a 5000kmÂ² pan stretching as far as the eye can see, it is so large it can be seen from space. Appropriately Etosha means ”˜place of dry water’. You might think that the game here would be sparse, but you would be wrong. There is plenty of wildlife, some of the best sightings are at the waterholes where the animals tend to congregate during the dry season, giving almost guaranteed game sightings. Etosha is home to 4 of the big 5 (elephant, lion, leopard, rhino). The dramatic landscapes make striking backdrops for your wildlife images. The park is home to 114 mammal species and over 340 species of bird. 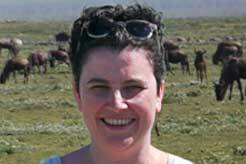 It’s easy to navigate on a self-drive trip, and equally enjoyable on a guided tour. Be on the lookout for black and white rhino, both are present in the park. Rains temporarily flood the pans during the wet season and attract huge flocks of flamingos and pelicans. The numerous waterholes make for excellent game viewing during the dry season as there is no other water for miles around. 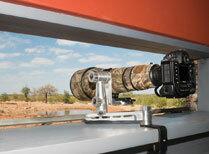 Game viewing in Etosha is at its best during the dry season, May to October. There are plenty of waterholes not far from the main tracks and the best thing to do is just park your vehicle and wait - it’s as though the animals come to you ”“ you don’t have to travel for miles and miles seeking out elusive game. It’s fascinating to watch the behaviour of the different animals and see how they interact and you are bound to get some great photographs. That said, it is still worth visiting in the wet season, but bear in mind the concentration of game will be less as the animals disperse and venture further afield to seasonal grasses and water. Etosha is yet another unique spot in Namibia. It's accessible by road and also by light aircraft. 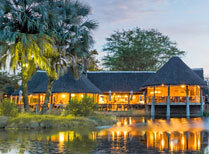 Being located in the north, it works well if you are intending to include the Caprivi. It's also a destination by itself. 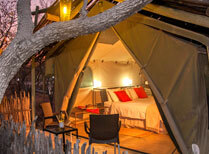 Etosha has it all from up market lodges down to camping. There are also lodges nearby the park in their own private concessions. There are plenty of options here. 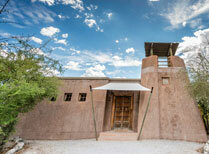 An eco-conscious property, on the private Ongava reserve adjacent to Etosha, perfect for self-drivers. 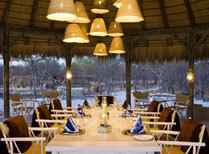 An affordable and comfortable tented safari lodge, close to Andersson's entrance gate to Etosha. 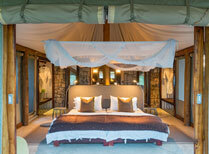 A taste of a traditional tented safari lodge. A comfortable lodge in the heart of beautiful Damaraland. 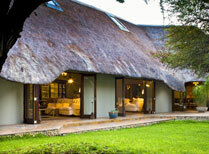 Your stay at this conservancy lodge benefits the local community. With 3 luxurious villas, a pristine bush setting and a mix of drives and walks, Little Ongava is an exclusive safari experience. Ideal location less than 10km outside Etosha National Park, enjoy an authentic safari stay at this down-to-earth tented camp. 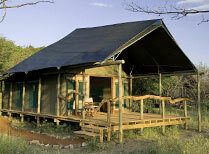 Small, homely yet luxurious tented lodge a short drive from Etosha National Park. 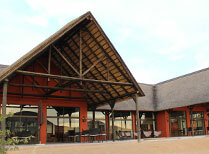 A high quality lodge in a private game reserve bordering Etosha, where you can unwind in comfort between safaris. Stay in a traditional walk-in tent, go on game drives and guided walks and enjoy an authentic safari experience at Ongava Tented Camp. 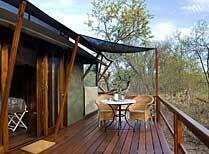 Onguma Bush Camp is a family friendly camp located just a few minutes from Etosha's east gate. Exclusive camp with sumptuous accommodation offering game drives and guided walks in Etosha and Onguma. 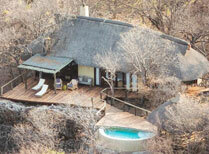 An imposing fort offering characterful and luxurious accommodation plus safaris in Etosha and Onguma Private Reserve. Flights from UK to Windhoek are usually via Johannesburg or Frankfurt and take about 12.5 hours. Windhoek International Airport is 60km from the city centre. Visas are not required British citizens for stays of up to 90 days. Malaria is present in Namibia. Certain areas are more high risk. A yellow fever vaccination is required for travellers arriving from countries with risk of yellow fever transmission; this includes transiting through a yellow fever risk country; make sure you have a valid yellow fever certificate with you.